I live in southeast Georgia. 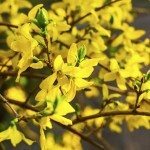 Can I propagate/root pussywillows and forsythia? I received pussywillows in a gifted arrangement....will they root, and will they grow here in southeast Georgia? 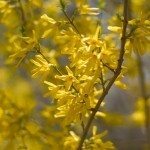 Same issue with Forsythia. Thank You. You are in zone 8a, so you should be able to grow both of these shrubs. These links will help you with propagating.